BollyNaach, Inc. opened its first Bay Area dance studio in Pleasanton in 2016. BollyNaach focuses on growing dancers in various styles of Bollywood and Indian dancing thereby developing versatile dancers. 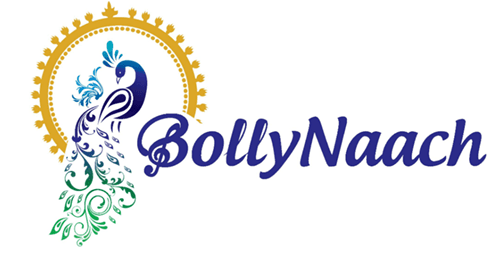 BollyNaach strives to excel in creativity and unique dancing artistic choreography. The institute teaches a wide variety of authentic Indian dance classes including Bollywood, Indian Classical, Bharatnatyam, Kathak, Odissi, Bhangra, Garba, Folk, Bollywood Belly Dance, Ballroom dance and others through experienced and talented Instructors. The students will get opportunities to perform in dance shows, community events, and school recitals to showcase their talents. Advanced students can also aspire to joining the BollyNaach Dance Company's team of talented dance professionals. BollyNaach also offers dance fitness classes similar to zumba with Bollywood flavor, Yoga, and more. In addition to the institute, BollyNaach offers wide variety of dance entertainment services. The dance company offers authentic Bollywood, Bollywood Fusion, Folk, Classical Fusion and others for all types of events including corporate events and weddings throughout California. Bollywood entertainment includes classical, oldies, latest popular songs, folk, bhangra and all other Bollywood dance styles beautifully choreographed and presented for unique entertainment experience. The dancers and performances will enrich your event with culture and heritage of India as well as infuse positive energy. We are a company that is proud and honored to be spreading the love and energy of Bollywood Dancing globally. We also provide henna services to enhance your experience. Our studios host dance or henna themed Birthday parties at both studio locations in Pleasanton and Fremont. BollyNaach Studios have State of the Art wooden sprung floor which provide minimal stress of dancers joints. The studios have state of the JBL sound systems with directional speakers with capabilities to provide live music. The studios have large format projector system to screen entertainment. The framed mirror span over 36’ and 42.’ The studios are also equipped with the state of the art filming equipment including, full frame cameras, prime lens, lighting, and grips to accommodate any photography or filming needs. Fremont Studio offers 1600 Sq. ft. of dance floor. Pleasanton Studio offers 1000 Sq. ft. of dance floor.